Sometimes, it’s the simplest designs that take your breath away. 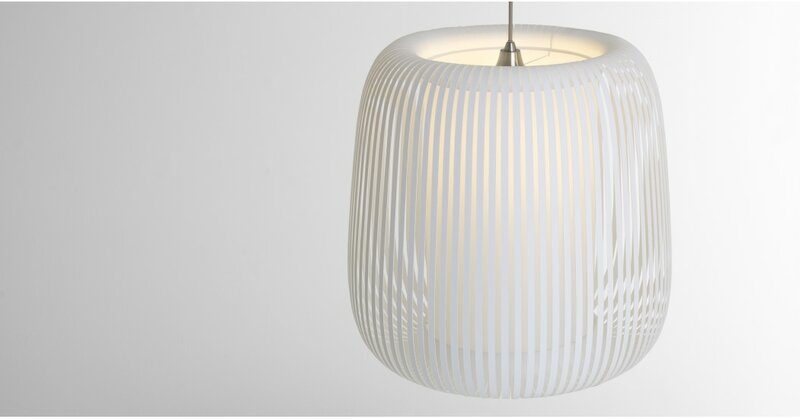 Polly’s beauty is in its simplicity - an elegant light shade that makes a striking focal point. The first thing you notice is the ribbon outer. Made of polyprop - a flexible material that gives the structure a little movement. Open the window - watch it tremble in the breeze. The cylindrical diffuser houses the bulb. It tones down the glare, giving the light a soft, cosy glow.